WHAT IF YOU WEREN’T DRIVING? WHAT IF YOU DIDN’T DO ANYTHING WRONG? This advice ONLY applies to Washington State. For information on other states, check out this page. YOU COULD SPEND COUNTLESS HOURS OF TIME PROVING THAT YOUR TICKET WAS A SCAM. 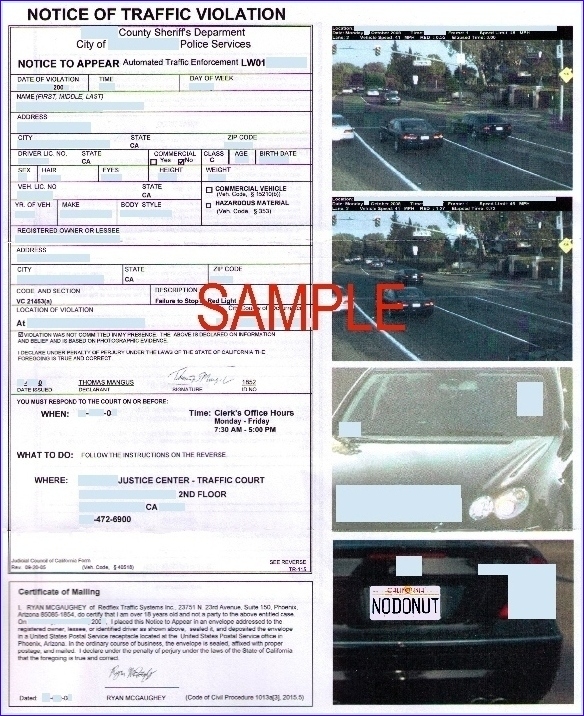 The court system is stacked against victims of red-light/speed-camera tickets. They are hoping you will just give up and pay the ticket. Don’t. The information available on this site is for general informational purposes only and not for the purpose of providing legal advice, information on this site is not legal advice. You should contact your attorney to obtain advice with respect to any particular issue or problem. This site should not be used as a substitute for obtaining legal advice from an attorney licensed or authorized to practice in your jurisdiction. 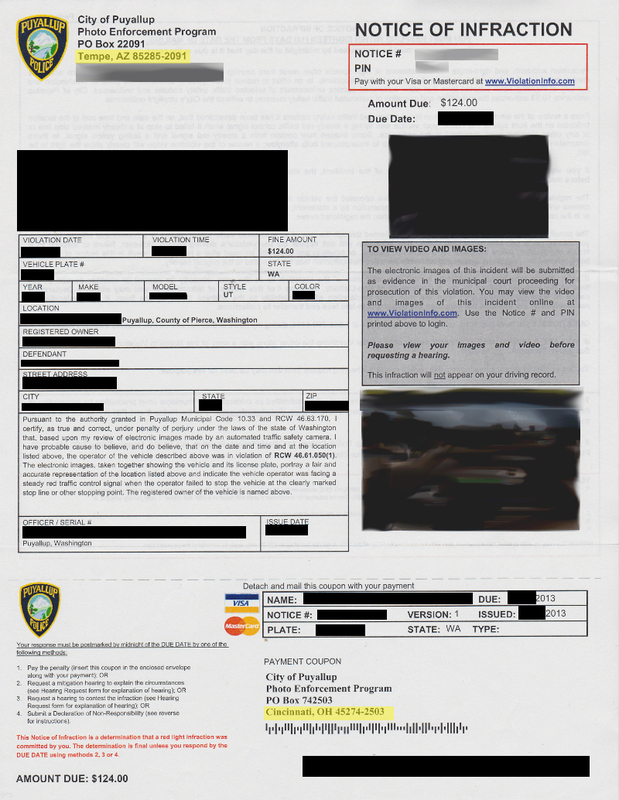 THERE ARE EASY WAYS TO BEAT THE RED-LIGHT/SPEED CAMERA TICKET SCAM, WITHOUT GOING TO COURT. We have sample affidavits / red light camera declaration of non-responsibility forms, that you can send to the court (see below). When you’re sent a camera ticket they will usually send you their own version of a declaration of non-responsibility. But they ask you to name the driver, which is NOT required by law. Some cities like Issaquah, Puyallup, Lakewood actually have links to their own Declaration of non-responsibility, that doesn’t ask you for information that you’re not legally required to give. Lynnwood‘s, Renton‘s and Bellevue‘s websites have one, but they ask you to name the person who was driving (not required by law). 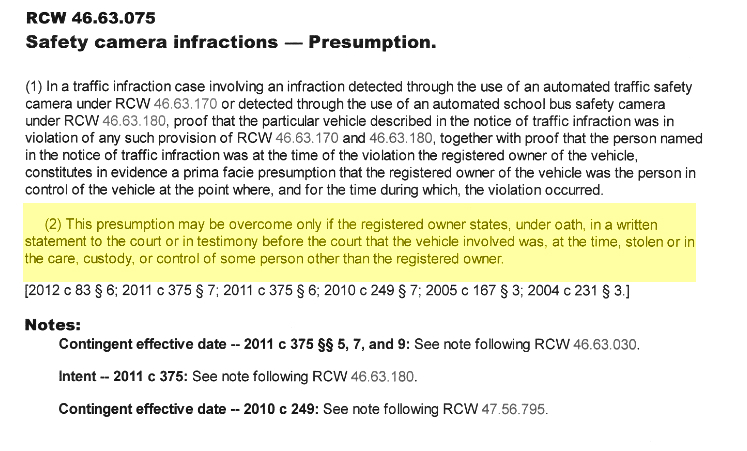 But most cities don’t offer you any information about how to get out of the ticket, besides info on how to go to court. You don’t need to go to court! You should NOT have to go to court if you send in an affidavit/declaration. 2. Mail your affidavit/declaration to the actual city municipal court (address is printed on the sample affidavits above). AND send in the “declaration of non-responsibility” that they sent you to the address they request it be sent to. BUT do not name the driver on their form. Leave it blank, or write “unknown” – it is NOT required by law. 3. It could take a week or four but the court will probably send you a letter to tell you that they have received your documents. They don’t always, but most do. 4. We can’t say for sure how long it will take for the court to respond, but it typically takes about 1-2 months. 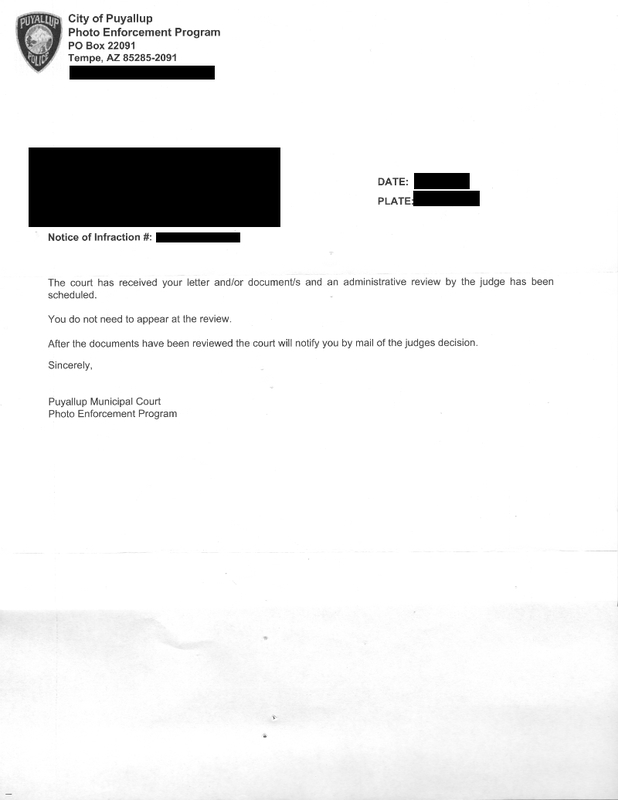 You should receive a letter stating that it has been dismissed. It will NOT go on your driving record, paid or not. It is treated like a parking ticket. It will not effect your car insurance rates. It may effect your credit rating if unpaid though. It may have official city letterhead, but it was sent by the out-of-state company that owns and makes money from the cameras. Confirmation that the affidavit has been received. Notification that the ticket was dismissed. How do I fill out the declaration of non-responsibility? Make sure all the highlighted areas are changed to the proper information (the correct court, and your information). Here is an example of the areas you will need to modify. Can I just fill out the city's declaration instead? Yes you can, but just be careful not to give them more information than you legally have to. You are not legally required to “tattle” on the actual driver. 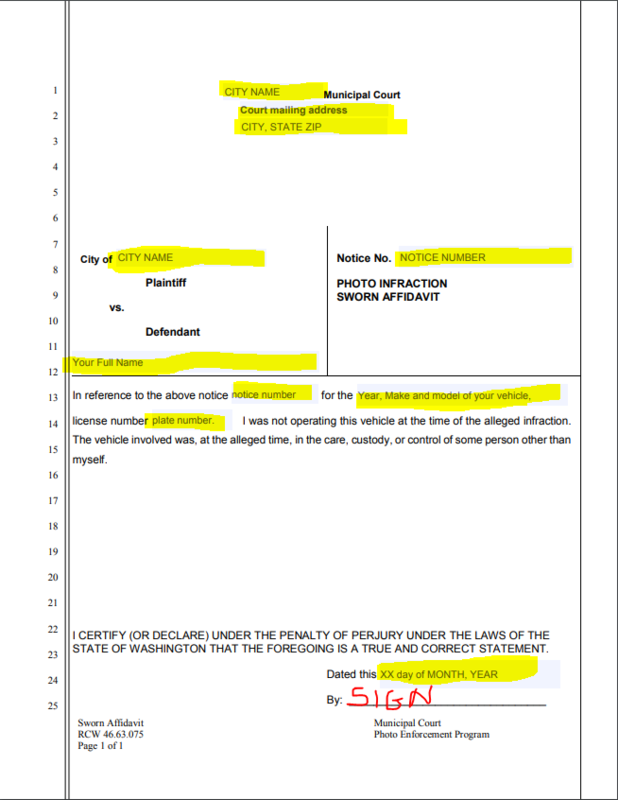 Question: I loaned my car to someone, and about a week later I got a notice from the city of Seattle that it had been caught on camera running a red light. I have the option of signing a Declaration of Non-Responsibility form, declaring that I wasn’t the one driving, but the form asks for the name, date of birth, driver’s license number and address of the person who actually was driving. Answer: Tacoma attorney Martin Duenhoelter, who specializes in traffic law, says no. “A person who receives a photo ticket absolutely does not have to rat out the driver,” Duenhoelter said. “There is no obligation under the statute to name the actual driver — ever,” Duenhoelter said. The city of Seattle uses an unusually threatening Declaration of Non-Responsibility form, Duenhoelter said, but it doesn’t change the law. 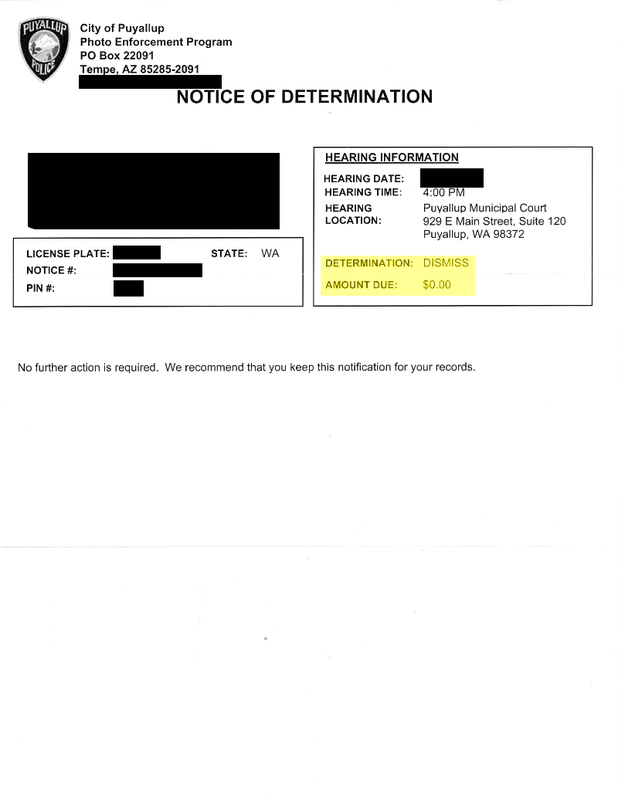 “If people want to lie on the form when they were actually driving to get out of a fine, they may rest assured that their honor is worth exactly $124,” he said. What if there are 2 registered owners? Fill out the declaration of non-responsibility for the person that the notice was mailed to. Does this apply to a company registered vehicle? Yes, you can send in a declaration of non-responsibility for notices that are sent to vehicles registered to a company/organization. If you can sign legal documents for the company/organization, you can sign the declaration. Some cities mail you a dismissal. Some don’t. Or they take a VERY long time. If you are concerned about it, you should call them and ask if it has been received. I mailed in a declaration but I still got a hearing date! You didn’t mail the declaration before the deadline. The city isn’t following the law. It is unfortunate, but some cities make up their own rules (sometimes). If this has happened to you, calling/emailing them might not help, but it is worth a shot. Politely explain that the law says that you only need to send in a written sworn declaration of non-responsibility OR testify before the court – NOT both. And you can always write to your legislators & news outlets and let them know that state law is not being followed by that city.